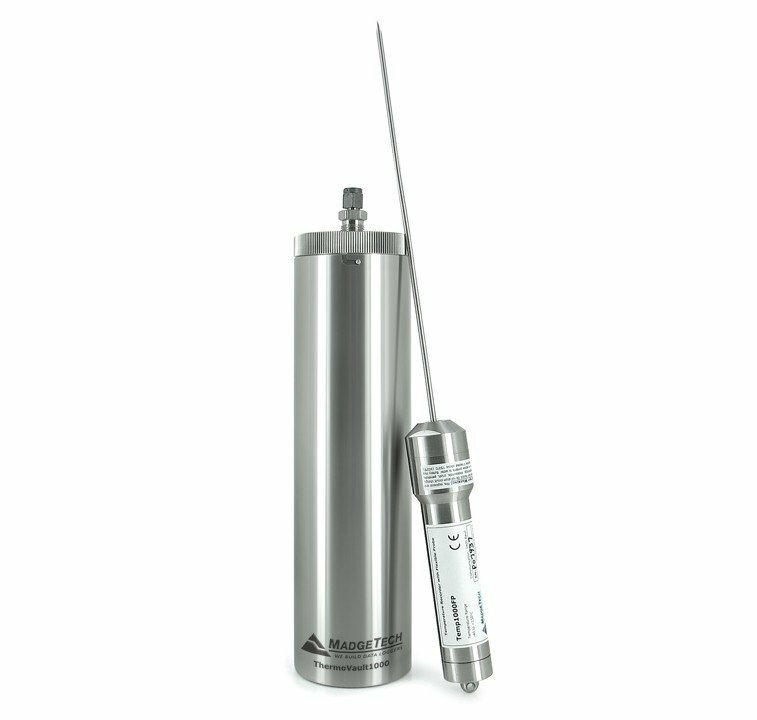 The ThermoVault1000-FP system comes with a stainless steel thermal barrier and a Temp1000FP data logger. This durable system can withstand temperatures up to 230°C when completely submerged and 350°C in dry heat applications (enclosure o-ring removed). The ThermoVault1000-FP is easy to use, simply open the enclosure, insert the Temp1000FP, thread the probe through the end cap and latch it back onto the barrier body.